Phil Pizzurro is a Managing Director on the Chicago Office Team for Generational Capital Markets, Inc.
During his extensive M&A career, Phil has been involved in all aspects of the transaction process including the evaluation, marketing, and execution of over 100 deals in all major industry categories. Phil has experience in a number of industries including: heavy and light manufacturing, distribution, business services, IT, professional staffing, agricultural manufacturing and agricultural services. Prior to joining GCM, Phil was a Senior Financial Analyst at EDS Corporation performing critical financial and operational studies. Phil holds a Bachelor of Science degree from the University of Texas at Dallas, is a Chartered Financial Analyst (CFA) Charterholder, and a Chartered Alternative Investment Analyst (CAIA) Charterholder. 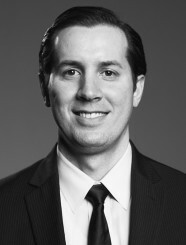 Additionally, he holds series 79 and 63 FINRA securities licenses, is an active member of the Board of Directors of the Midwest Business Brokers & Intermediaries Association (MBBI), and an M&A Advisor 40 Under 40 Finalist. Phil is a sought after speaker addressing issues related to Mergers & Acquisitions and Corporate Finance.